Manufactured in Japon from 1986 until 0. 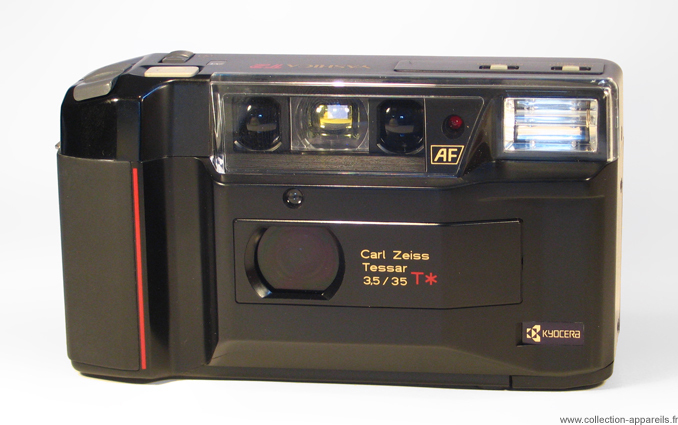 One year after the T-AF ,the T2 AF was introduce at the time of Photokina. If there is not a big revolution, some small things are improved. You remember that the first model was not equipped with the recognition of coding DX. Yashica heard criticism and corrected the lapse. The flash is activated from now on automatically according to the luminosity. The general design is a little less angular. The good aspects are obviously preserved, such the Tessar lens.